A science communicator and emeritus professor from Manchester Metropolitan has received a prestigious award in recognition of her innovative contribution to public engagement with science. Through zombies, vampires, werewolves and ‘bad bugs’ book clubs, Professor Joanna Verran has brought microbiology to life, successfully engaging members of the public and improving science literacy both in Greater Manchester and across the country. The American Association for the Advancement of Science (AAAS) has recognised her achievements by awarding her the Mani L. Bhaumik Award for Public Engagement with Science. The award is given to scientists and engineers who demonstrate excellence in their contribution to engaging the public with their subjects. 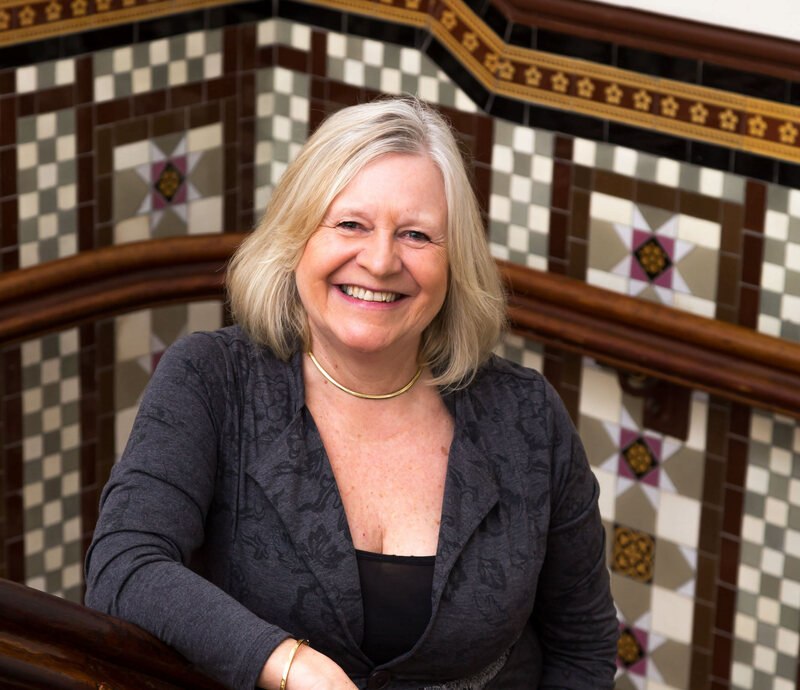 Prof Verran has led a distinguished career at Manchester Metropolitan, where she was a lecturer, academic, and Head of School between 1980 and 2018. During her time at the University, she led a number of public engagement events, as well as supporting students and staff in their public engagement activities, which have contributed to her being recognised for this award. For Prof Verran, much of her public engagement work originated in her teaching, aimed at engaging her students in microbiology. Examples include the 'Science Corner' at Manchester Children’s Book Festival, where she has been getting thousands of younger children excited about science on an annual basis. Her Bad Bugs Bookclub, established in 2009, continues to attract regular readers who meet to discuss infectious disease in fiction. In 2011, she worked with Dr Matthew Crossley, a computer scientist, to develop a mathematical model called SimZombie – designed to simulate zombie, werewolf and vampire outbreaks. Jo and Matthew delivered SimZombie activities at a range of events including Cheltenham and Manchester Science Festivals, and ‘Deadinburgh’, an award-winning immersive theatre event. More widely, Prof Verran's work has been instrumental for the Federation of European Microbiology Societies, which, through her participation, adopted education and communication as two of its six strategic priorities. In addition, she has organised and delivered microbiology education and public engagement events to several hundred microbiologists across Europe. Professor Helen Laville, Pro-Vice-Chancellor for Education at Manchester Metropolitan, nominated Prof Verran for the award. Prof Laville said: “I am delighted to hear that Jo has received the AAAS Mani L. Bhaumik Award for Public Engagement with Science. “Jo has brought her microbiology expertise, enthusiasm, innovation and research rigour to public engagement and more formal education with great success and impact. She became Emeritus Professor in January 2018, but continues to engage with audiences and mentor peers. The AAAS Mani L. Bhaumik Award for Public Engagement with Science, formerly the AAAS Award for Public Understanding of Science and Technology, was established in 1987 to recognise scientists and engineers who demonstrate excellence in their contribution to public engagement with science. The recipient receives a monetary prize of $5,000, a commemorative plaque, complimentary registration, and reimbursement for reasonable travel and hotel expenses to attend the AAAS Annual Meeting, this year in Washington DC, to receive the prize.